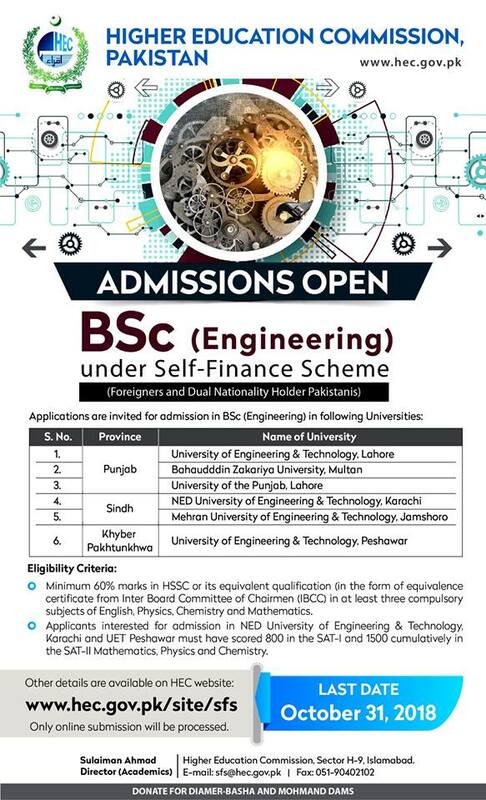 The Self-Finance Scheme aims to assist foreign students and dual-nationality holders with educational aspirations in Pakistan. 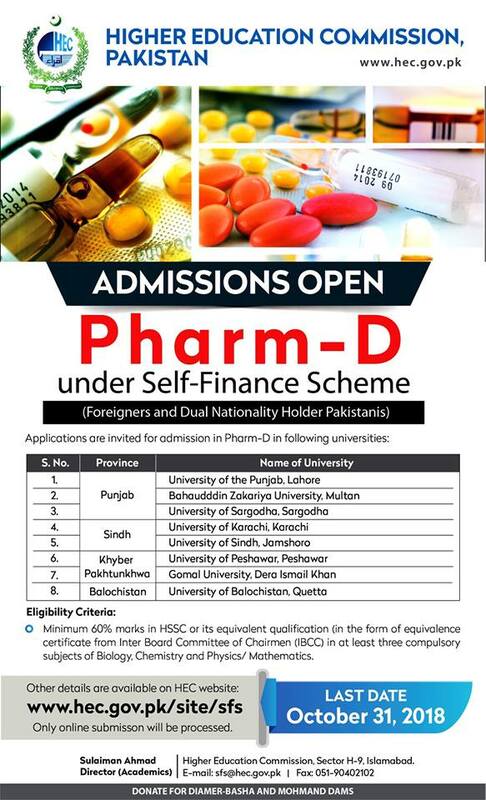 Originally a project of the Economic Affairs Division, the Scheme was transferred to the Higher Education Commission in 2006, and assures a limited number of seats in the disciplines of medicine (MBBS), dentistry (BDS), pharmacy (Pharm-D) and undergraduate engineering (B.Sc Engineering). This program is open to dual national and foreign citizens with an HSSC or equivalent degree.